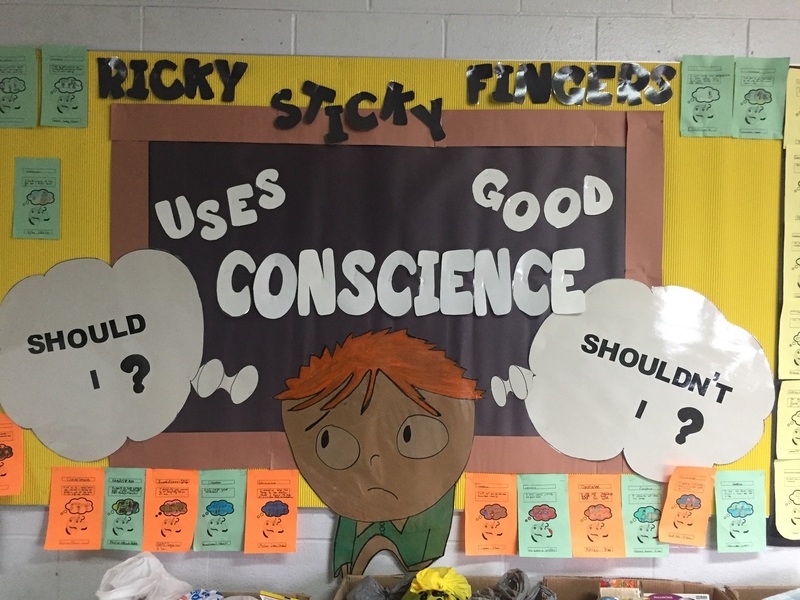 This year for our school Conscience Virtue, the students read Ricky Sticky Fingers by Julia Cook. 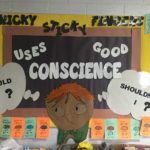 The students explored the importance of using conscience by finding the good inside themselves to make the right choices. 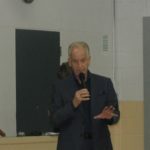 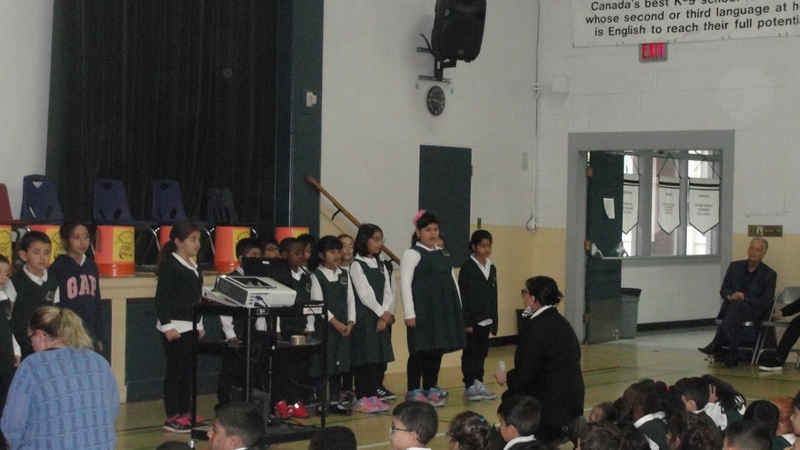 The students focused on the value of making the right choices by helping others in their community. 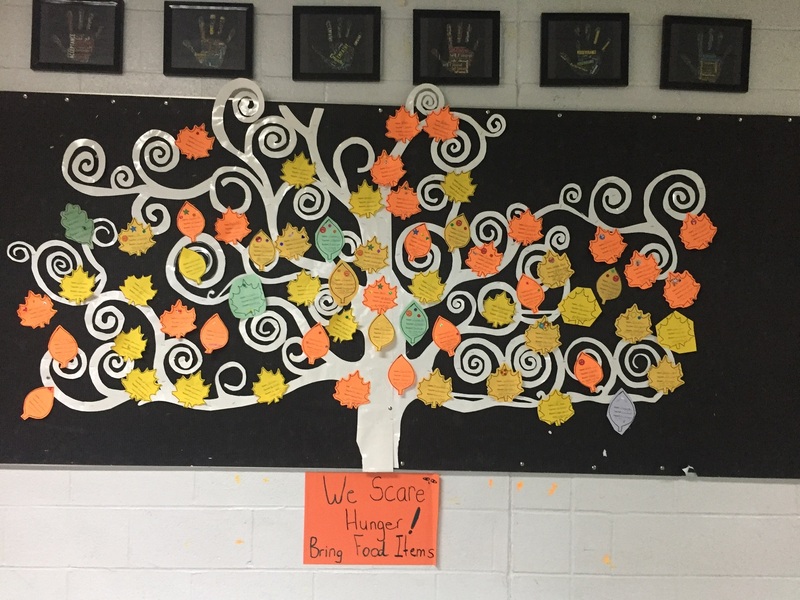 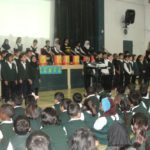 The students participated in the “We Scare Hunger” food drive by donating food items to the Calgary Food Bank. 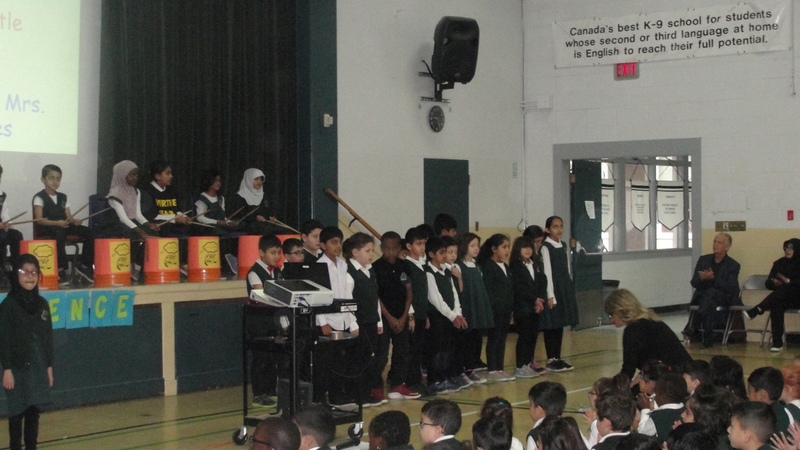 The students also gathered clean, used clothing to contribute to the Cerebral Palsy Association bin. 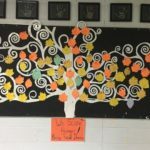 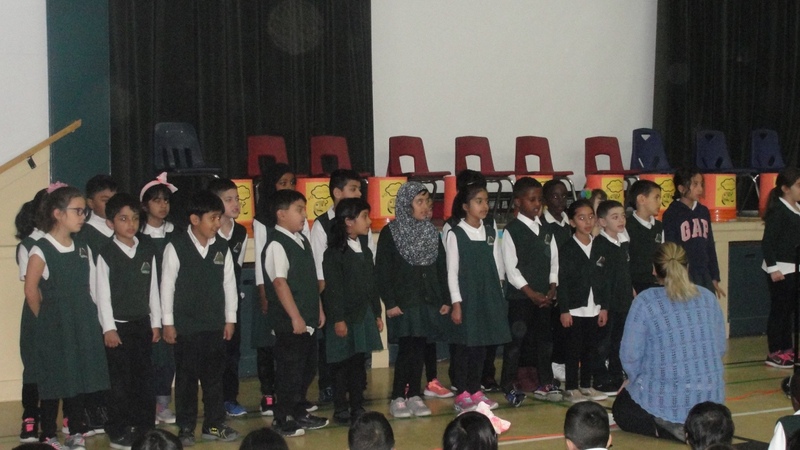 In recognition of the Indigenous children who were not treated fairly in Canada’s historical residential schools, the students and staff took part in their first Orange Shirt Day on October 1. 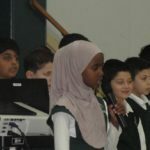 Collectively we continue to affirm that all children must be treated with dignity and respect now, and into future generations. 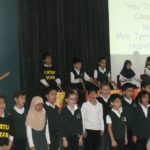 By wearing orange shirts, students and staff showed their heartfelt awareness of the message that Every Child Matters. 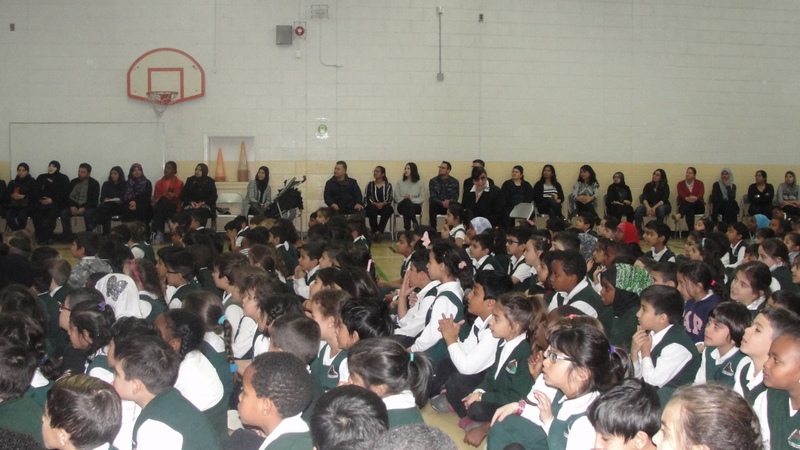 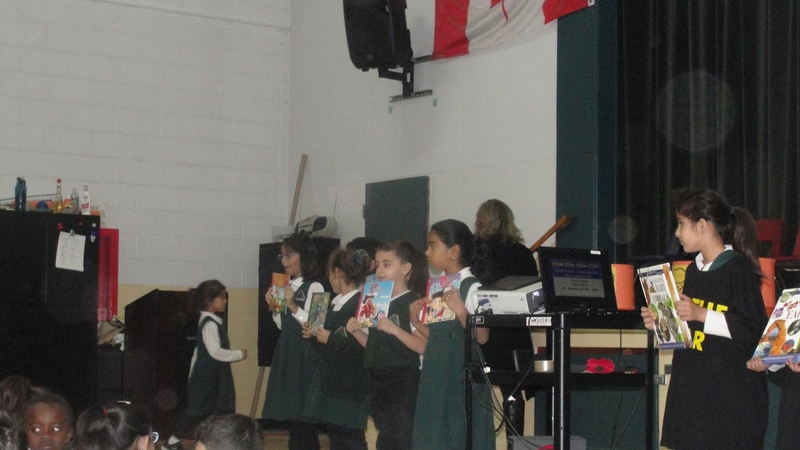 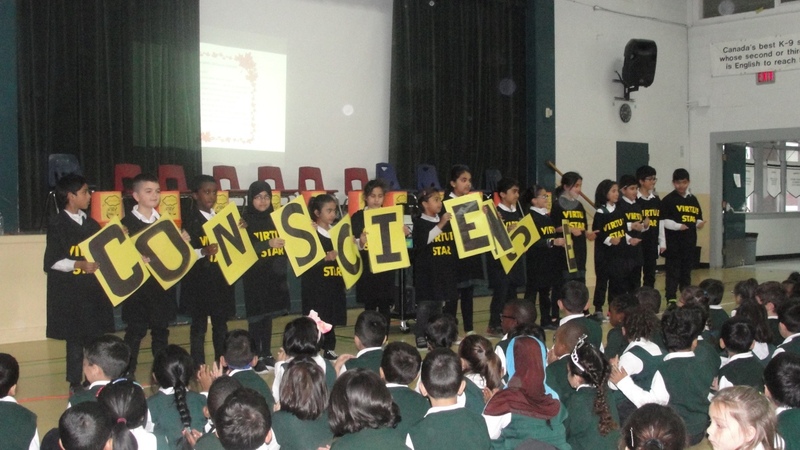 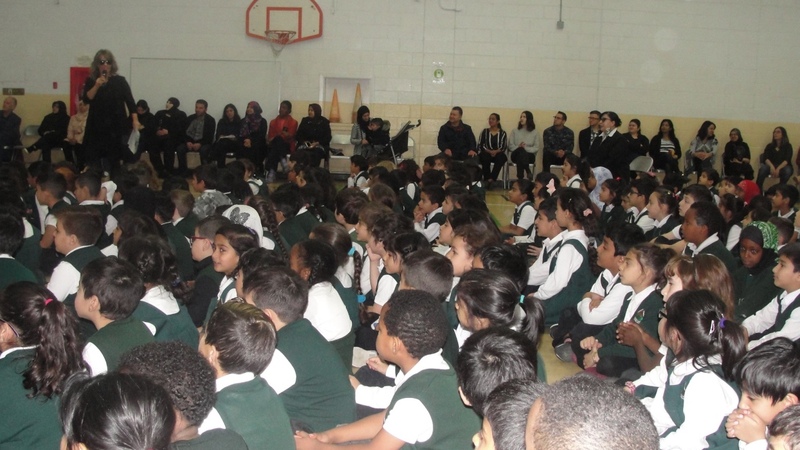 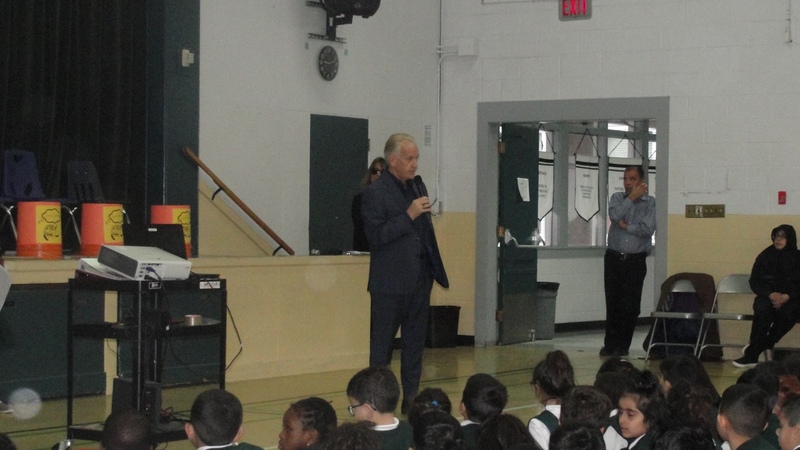 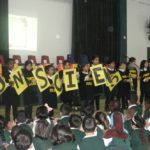 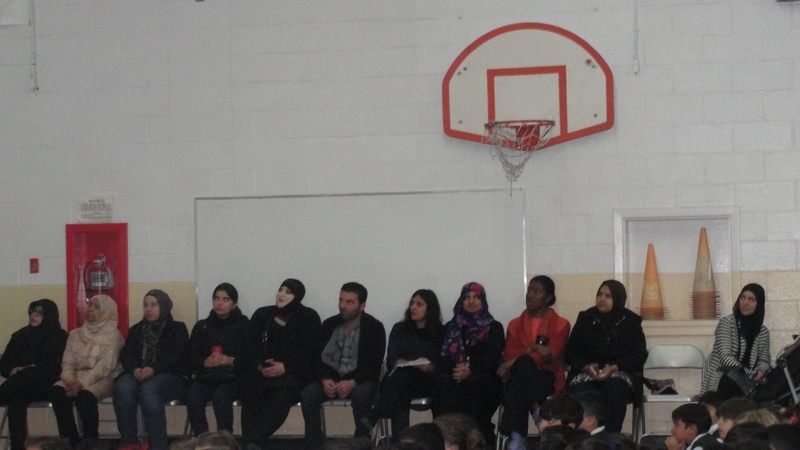 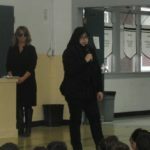 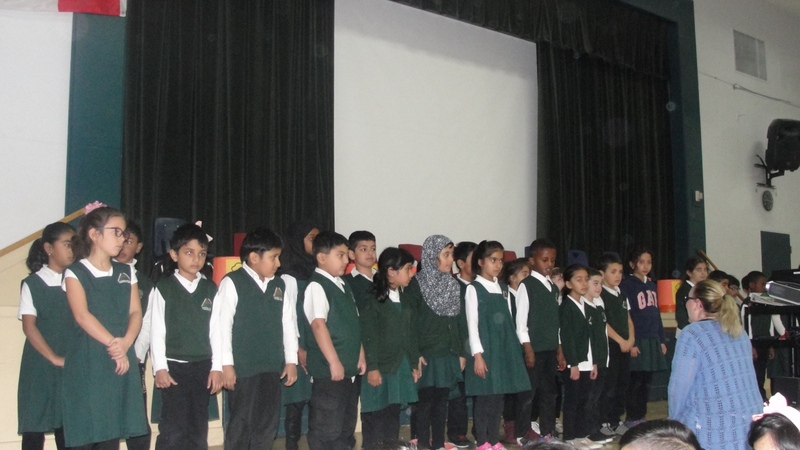 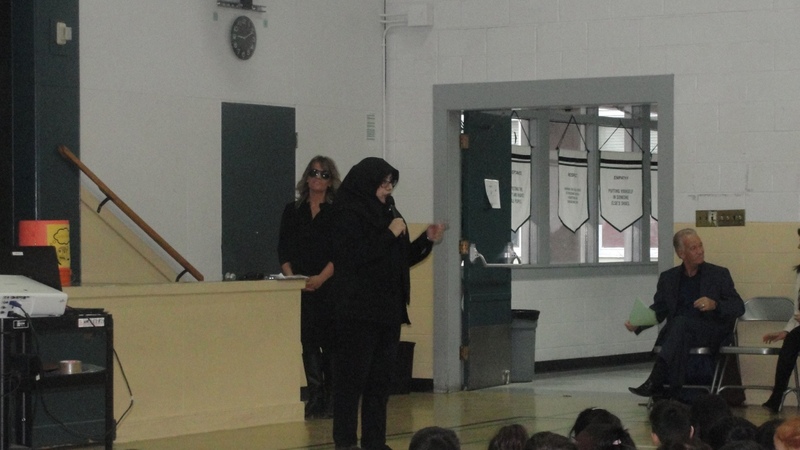 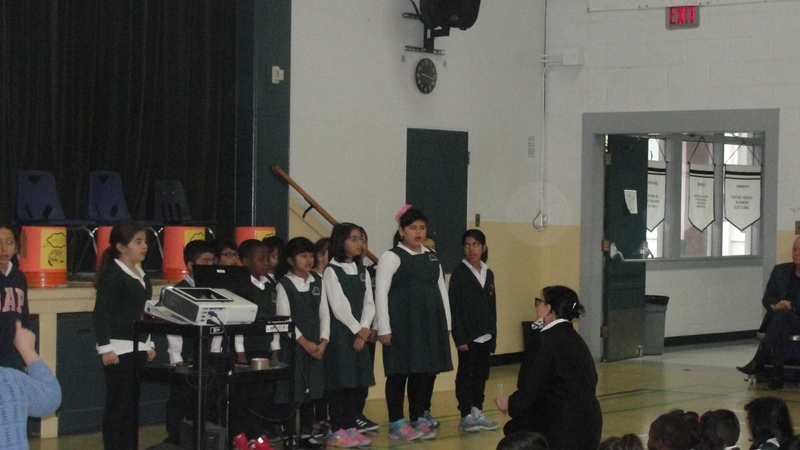 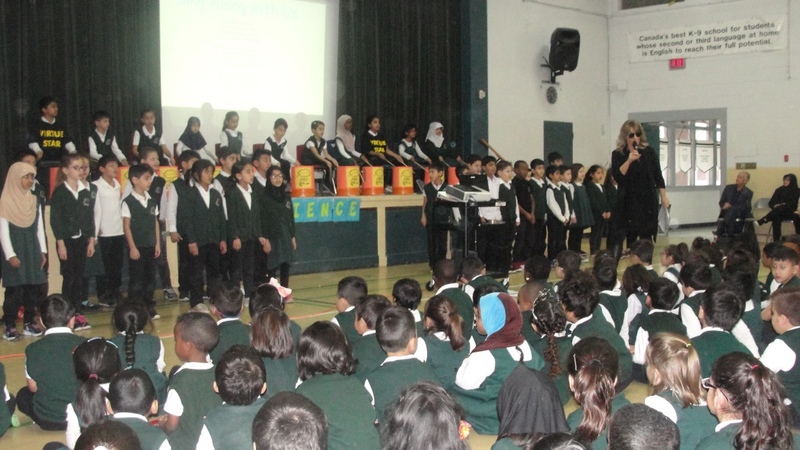 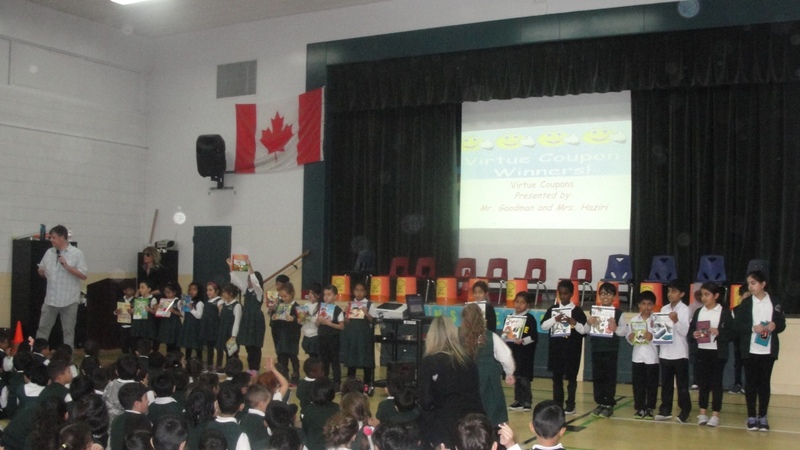 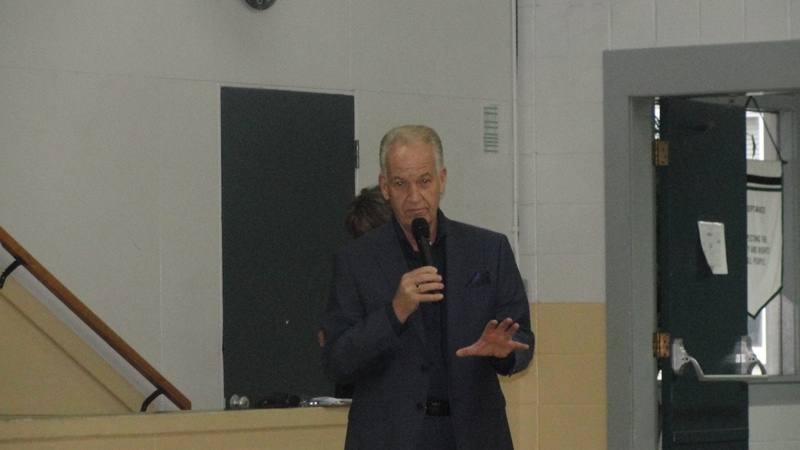 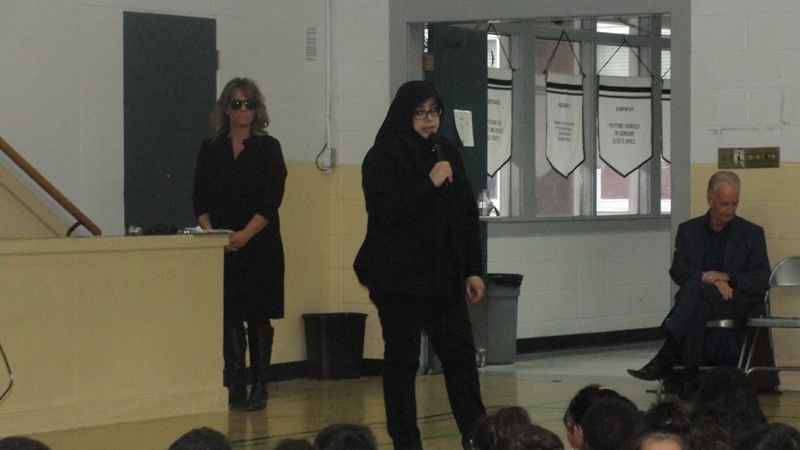 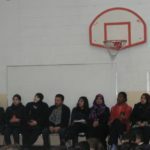 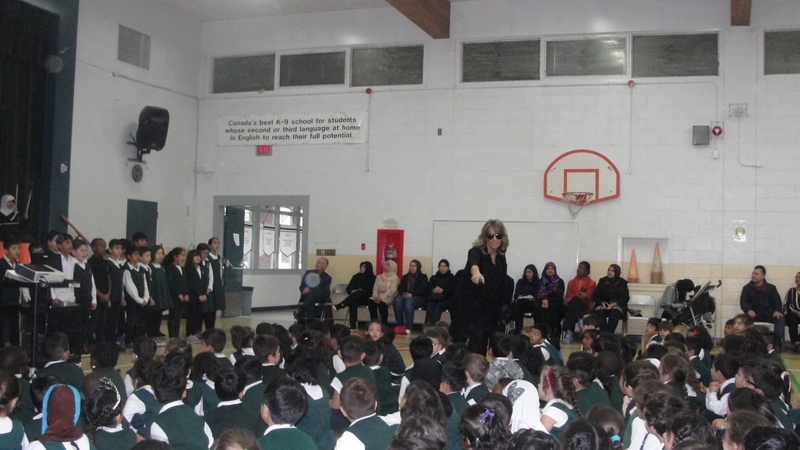 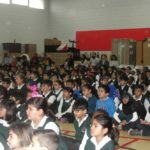 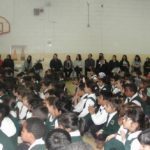 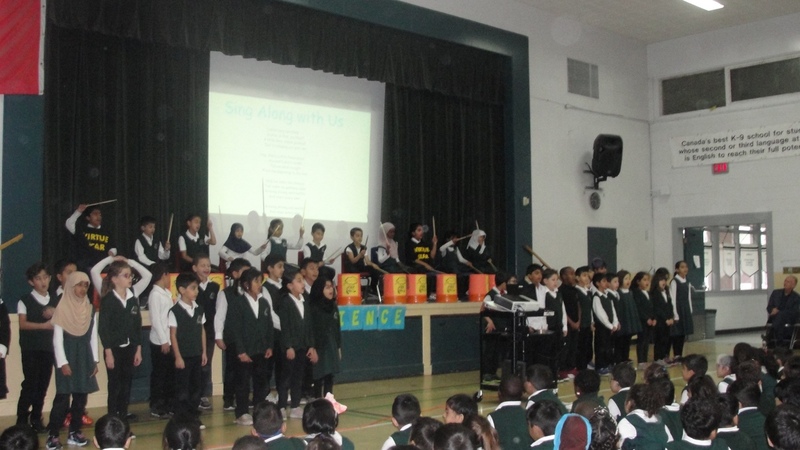 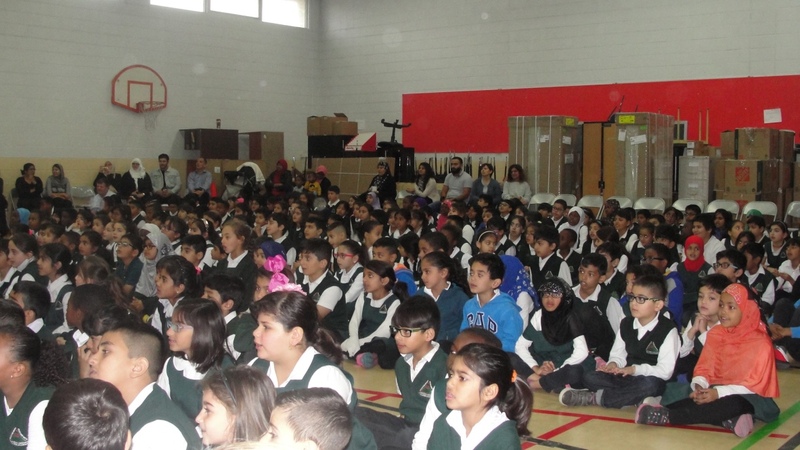 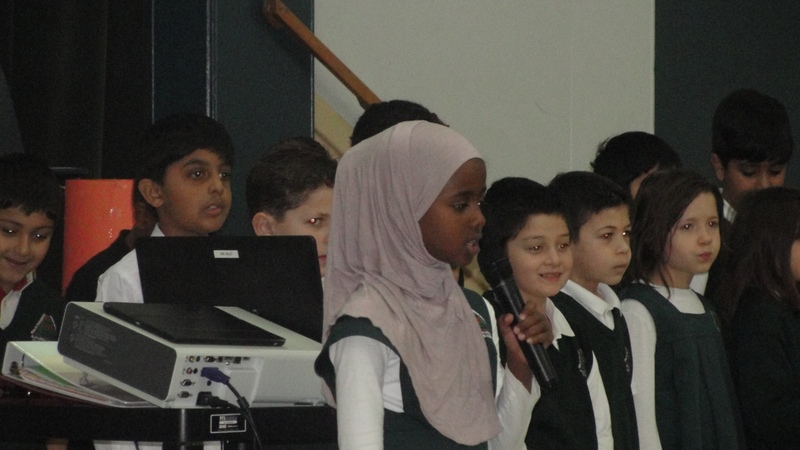 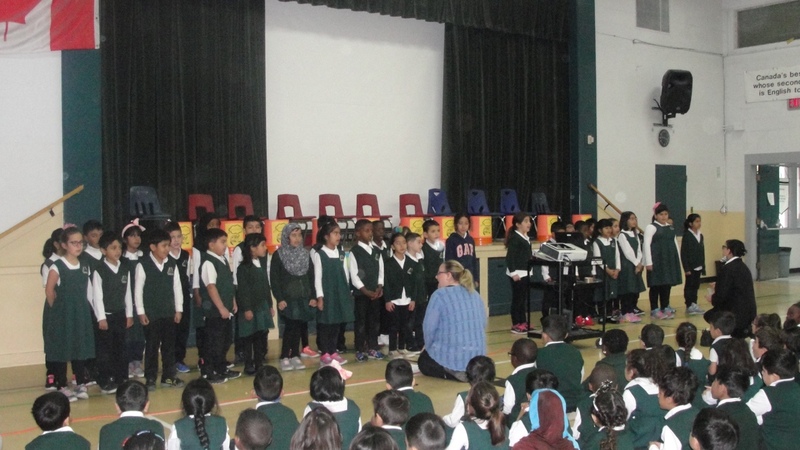 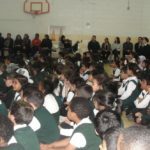 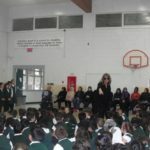 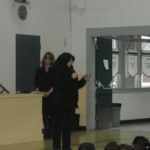 On November 1, students, staff and parents attended the school conscience assembly. 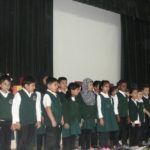 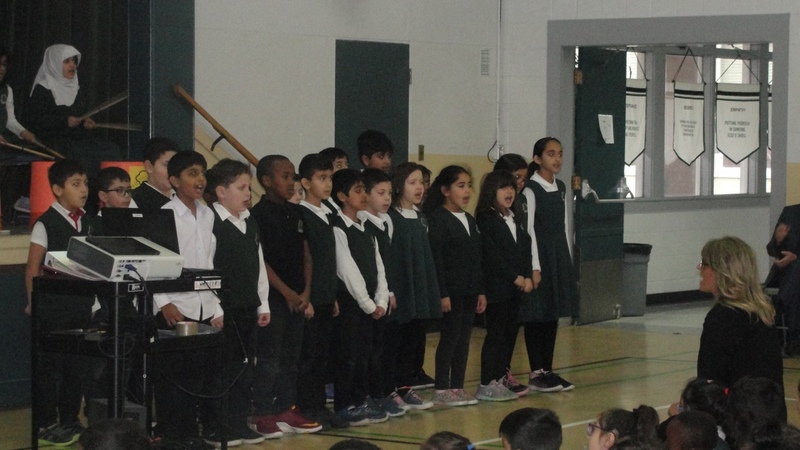 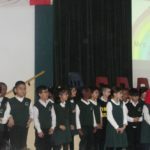 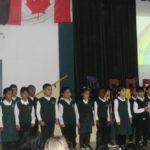 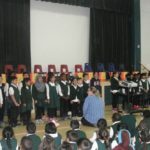 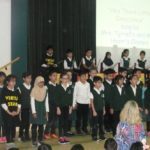 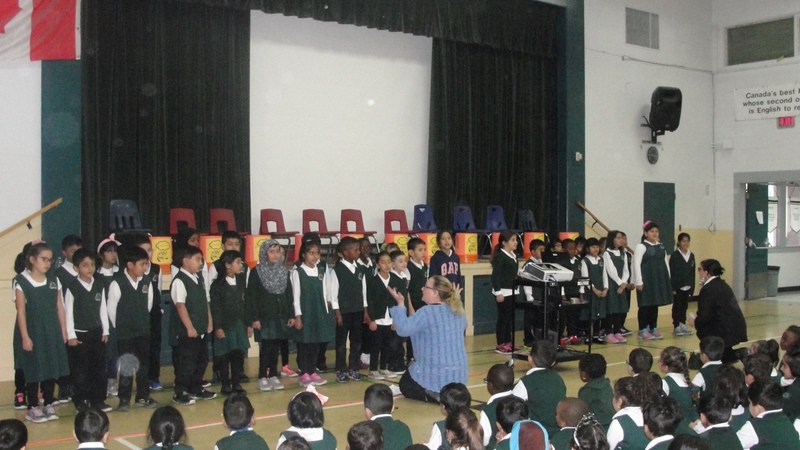 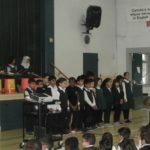 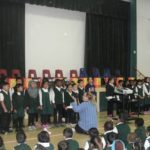 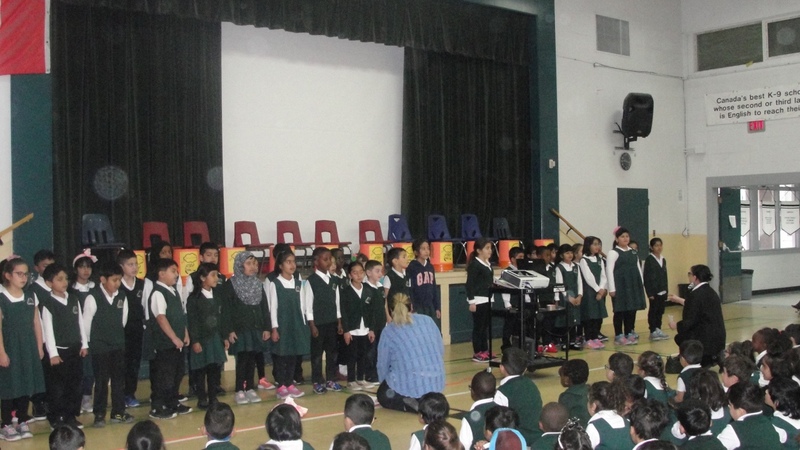 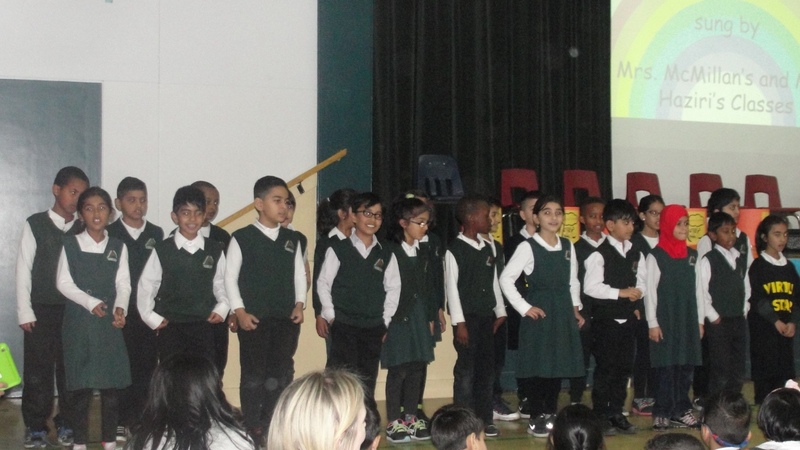 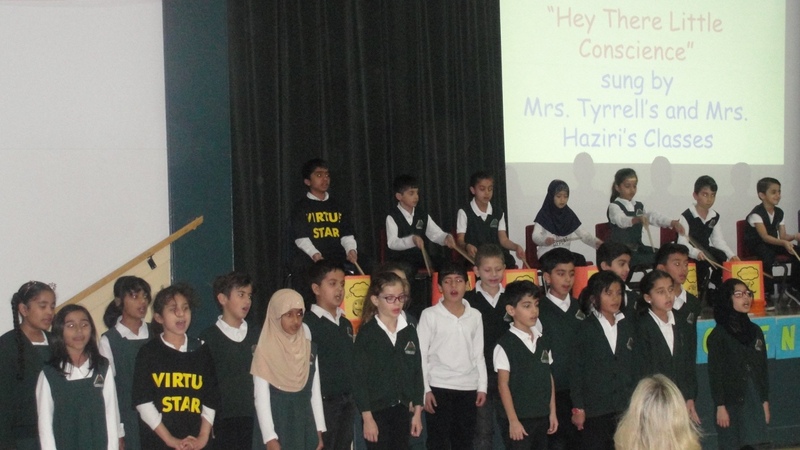 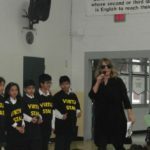 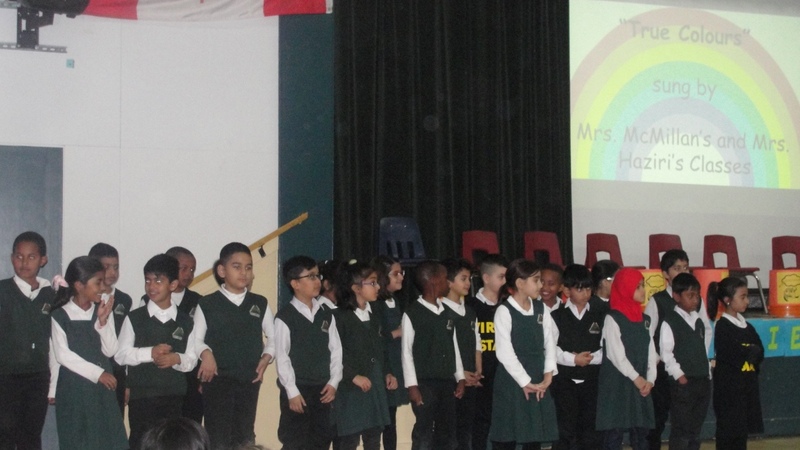 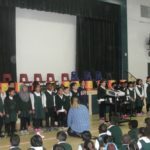 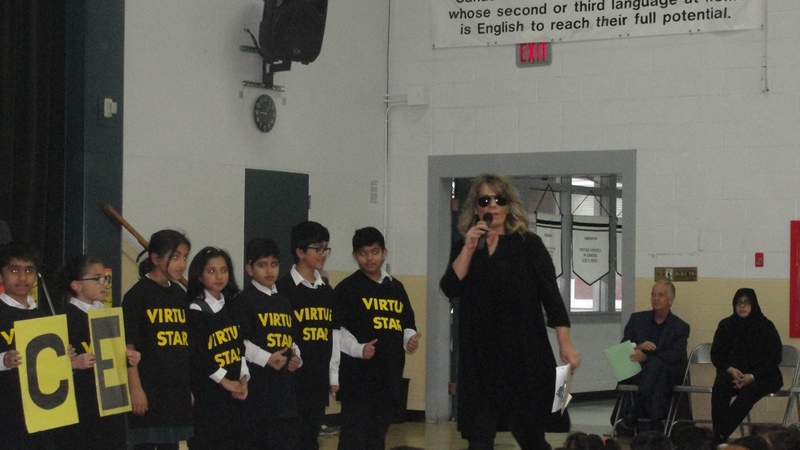 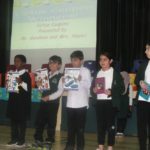 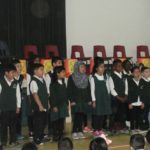 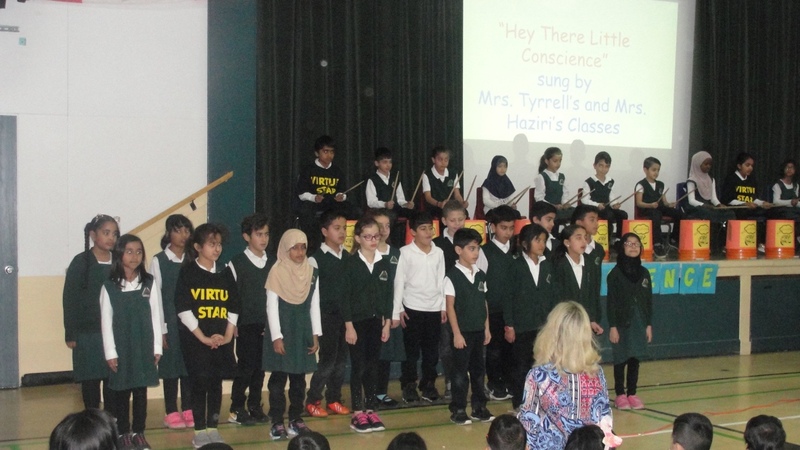 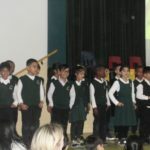 The grade three and four Virtue stars launched the assembly with an encouraging conscience chant to captivate the audience. 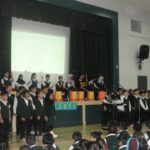 To officially open the assembly performances, a Land Acknowledgement statement was shared in recognition of the traditional territories of the local Indigenous people. 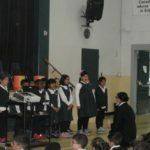 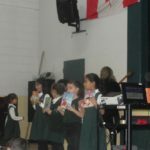 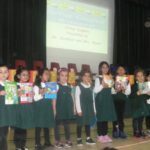 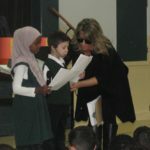 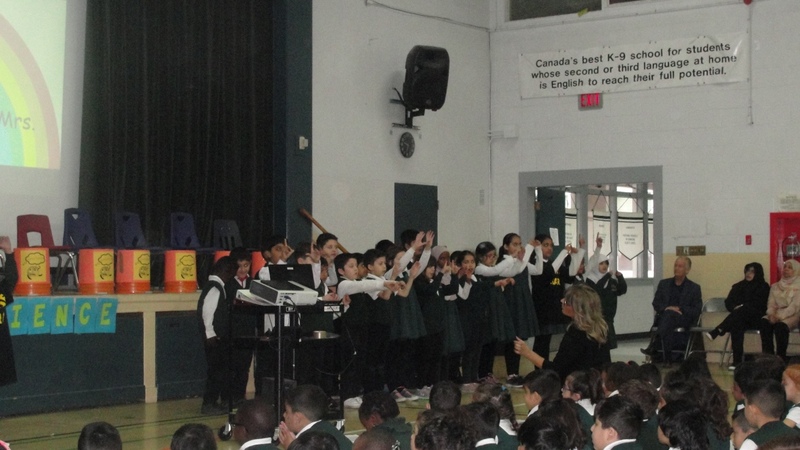 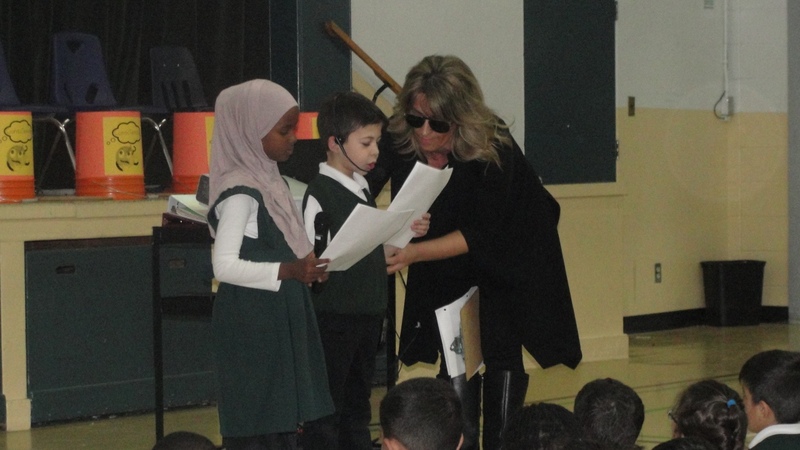 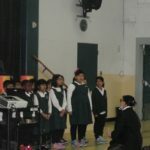 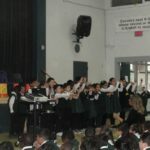 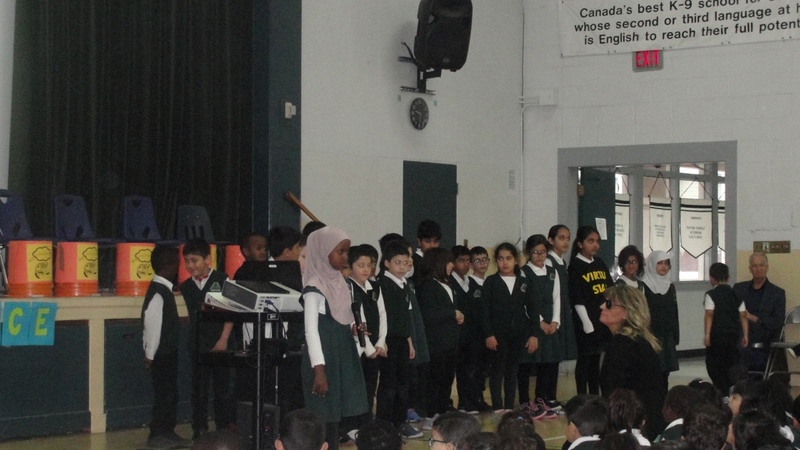 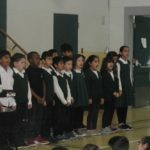 Mrs. Dassouki’s and Mrs. Yanofsky’s class gave an inspiring performance with the song “Let’s Walk On”. 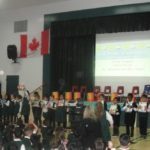 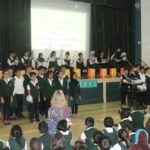 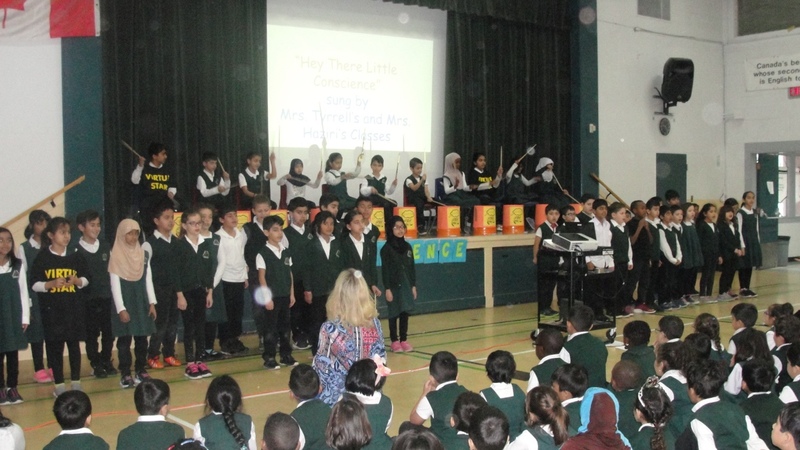 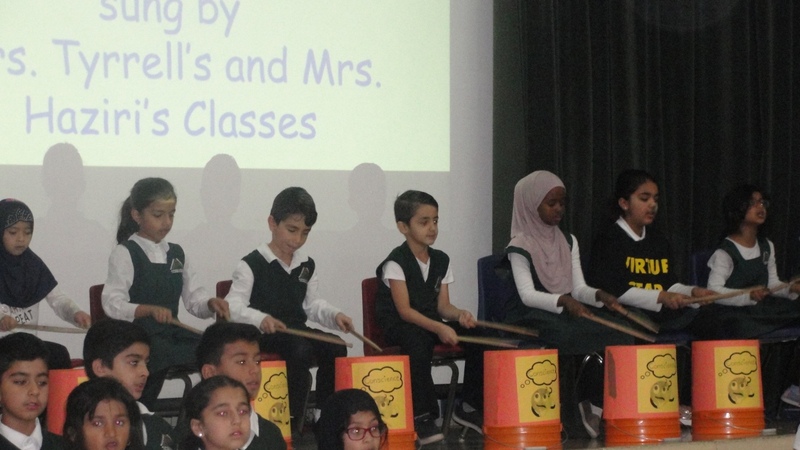 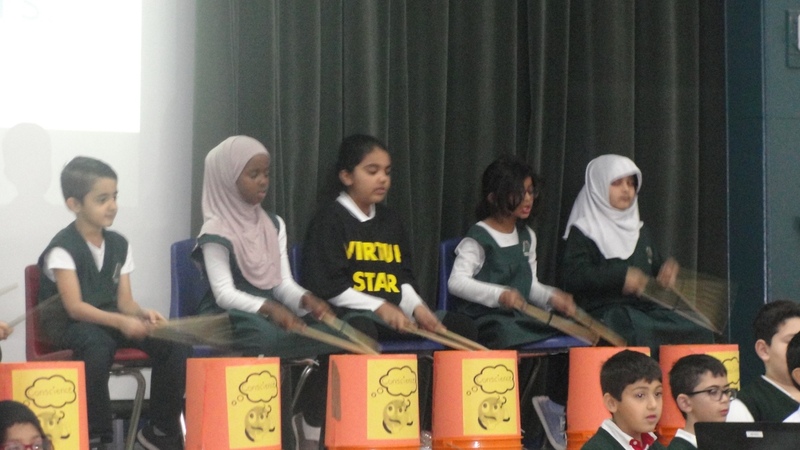 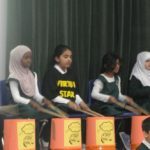 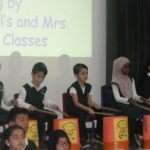 Then Mrs. Haziri’s and Mrs. Tyrrell’s class wowed the audience with the song “Hey Little Conscience” that turned into an interactive sing along accompanied by some impressive bucket drummers. 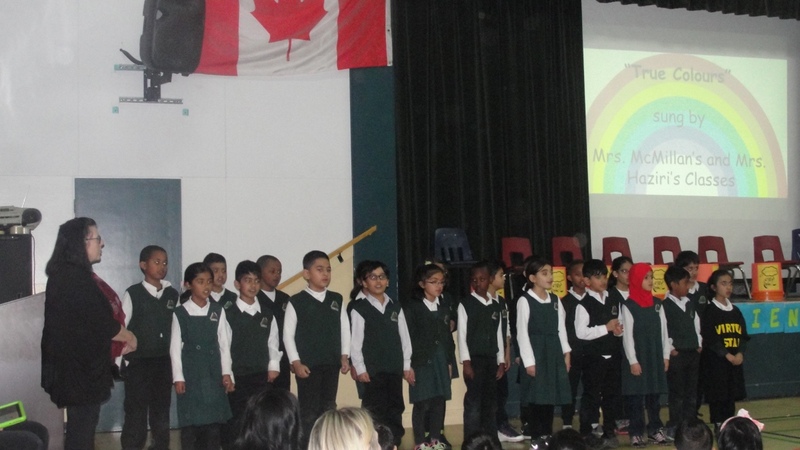 After Mrs. McMillan’s and Mrs. Haziri’s class shared a heartwarming performance of the song “True Colors”. 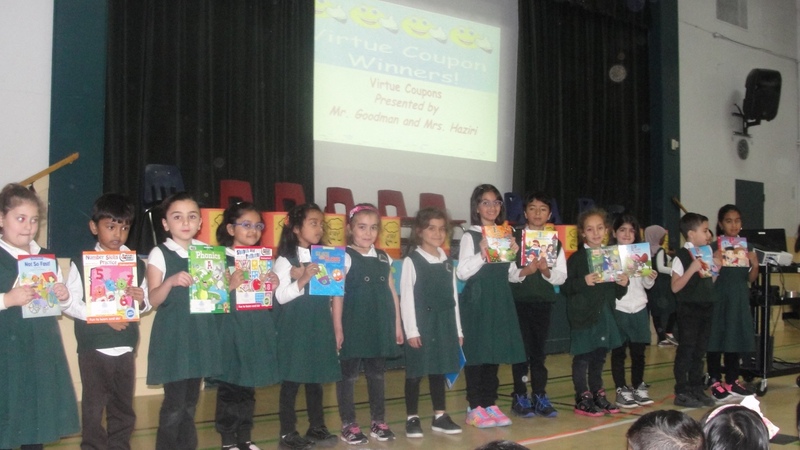 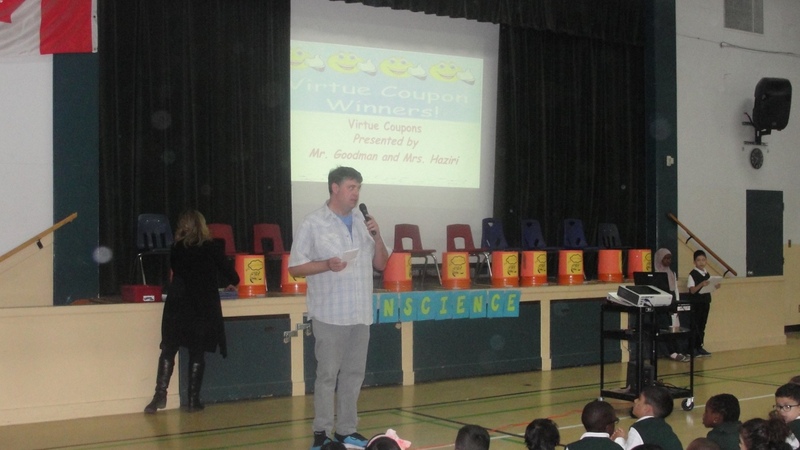 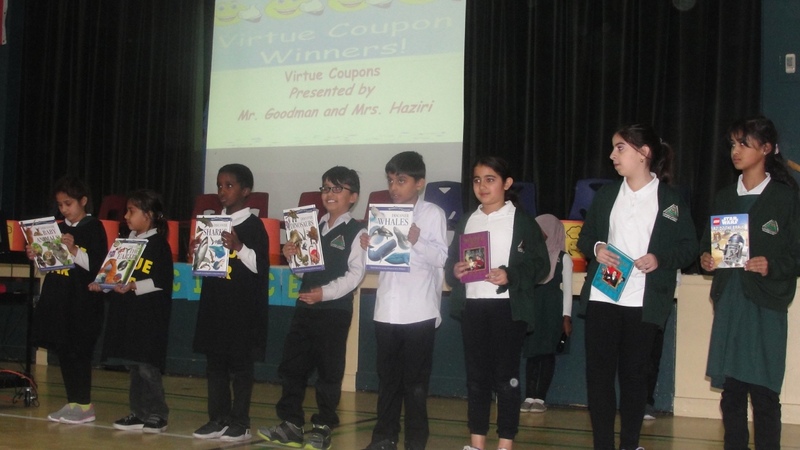 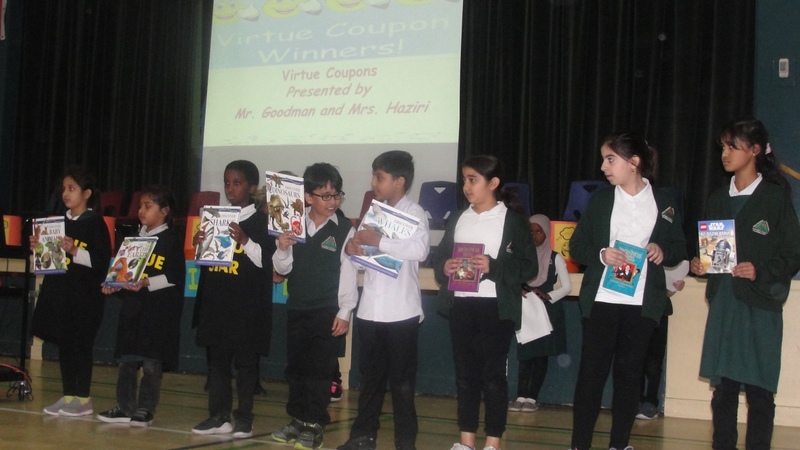 Finally the Conscience coupon virtue winners were announced. 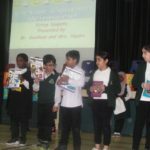 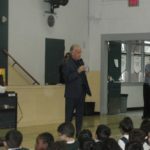 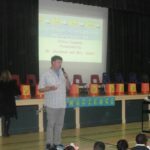 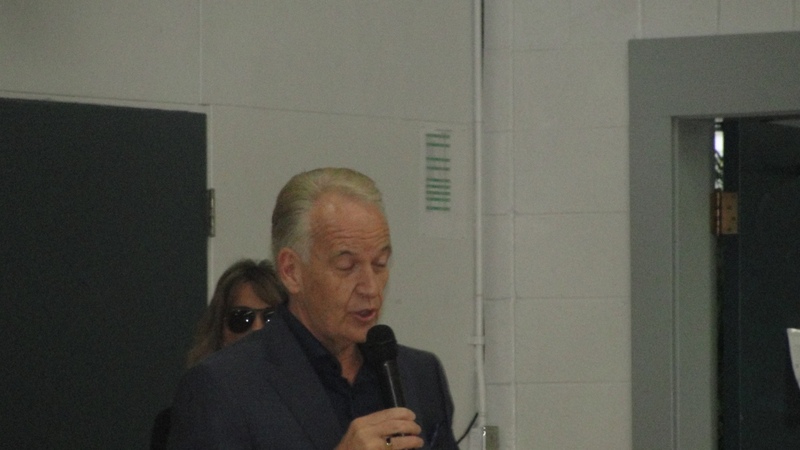 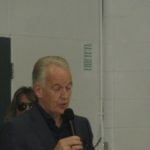 It was a remarkable assembly! 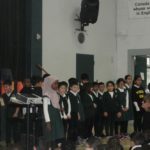 A special thanks to all the students, staff and parents for making our Almadina school conscience events and assembly a huge success!